With technology on the rise, baby and children’s tech is a growing segment. 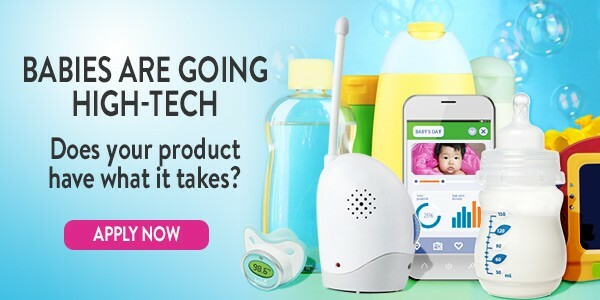 Manufacturers are now realizing the shift in the baby/ children industry in terms of the demand for reliable tech items, need for baby tech safety and connected apps for real-time data, the emerged “millennial parent”, and the high-tech world that we now live in. Last year I attended CES, and there was no dedicated space for all baby and children tech items… this year for 2016 all that has changed. 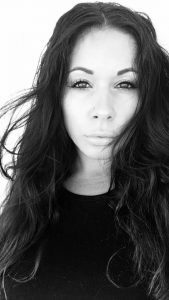 Vanessa Miller, Product Manager/Business Development, Best Babie Inc. The Bump’s partnership with Living in Digital Times, producers of the new Baby Tech Summit at CES, announced the finalists for The Bump Best of Baby Tech Awards at CES® 2016. The finalist represents the advancement in categories of baby safety, fertility, baby feeding, and state of the art apps. I did my voting! Now it’s your turn to place your online vote for their favorite product here. Voting remains open through January 6, 2016, 11 PM EST. Eighteen finalists have been named by the judging panel, with three finalists in each of the six categories: Baby Eats, Baby Learn and Play, Baby-On-The-Go, Baby Safety, Fertility and Pregnancy and Healthy Baby. “What the finalists all had in common besides breakthrough technologies was alleviating the challenges of parenting and making life easier for parents and babies,” said Jill Gilbert, producer of the Baby Tech Summit. Below is a list of finalists and their complete details can be found here. BabyNes inspired by breast milk, an advanced nutrition system bringing six stages of single-serve formulas together with a Wi-Fi connected machine. Cognos was developed by researchers at Harvard and Stanford medical schools and is designed for parents to evaluate the risk of developmental delays. Mutsy I go is a stroller with integrated front wheel suspension technology that features a height adjustable push bar and a fully adjustable seat while being able to fold up very compact. ReliefBand™ is drug-free wearable tech used for the treatment of nausea and vomiting associated with pregnancy. Clinicloud connected home medical kit closely monitor your child’s every fever, chill, cough, wheeze or cold. It provides you with a medical consultation in the comfort of your own home. Venetian, Level 2, Venetian Ballroom G. The category winners and the Audience Favorite will be announced on stage on January 7, 2016, during a special event at the Baby Tech Summit at 3:30 PM, Venetian, Level 2, Venetian Ballroom G.
The Bump is the one and only multiplatform resource giving first-time parents the rundown on fertility, pregnancy, birth, advice & tips, stylish ideas in an online community, reaching millions of moms and dads each year through TheBump.com, The Bump app, and The Bump local guide. The Bump was my guide for my first pregnancy and my second, today I am still getting tips and cute ideas! The Bump gives parents stage-by-stage advice to better help prepare them for what’s next. The Bump is part of XO Group Inc. (NYSE: XOXO), the premier consumer internet & media company dedicated to weddings, pregnancy and everything in between. Follow The Bump on social media @thebump. Founded by expert technology journalist Robin Raskin, Living in Digital Times produces a variety of showcases and conferences at CES bringing together the most knowledgeable leaders and the latest innovations to present how technology plays a role in our lives. Living in Digital Times main brands include Digital Health Summit, Baby Tech, Kids@Play, Family Tech Summit, KAPi Awards, Digital Money Forum, FitnessTech, TransformingEDU, MommyTech TV, Beauty Tech, Wearables and FashionWare runway show, Mobile Apps Showdown, Last Gadget Standing, and Robots on the Runway. CES is the largest consumer tech show in the world and is the global platform for innovators and breakthrough technologies to be introduced. Over 150k people gather in Las Vegas for the past 40 years from over 150 countries around the world. CTA, the technology trade association, owns and produces this show- representing the $285 billion U.S. consumer technology industry, it attracts the world’s business leaders and pioneering thinkers to a forum where the industry’s most relevant issues are addressed. (https://www.cesweb.org/about-us) Check out CES video highlights. Follow CES online at www.CESweb.org and on social.